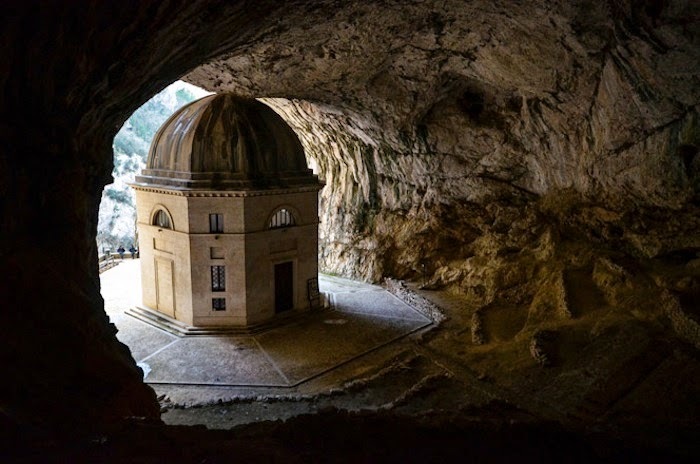 For centuries, those seeking an escape from others or even perhaps from themselves, have sought refuge in these caves along the Sentino river in the province of Ancona. 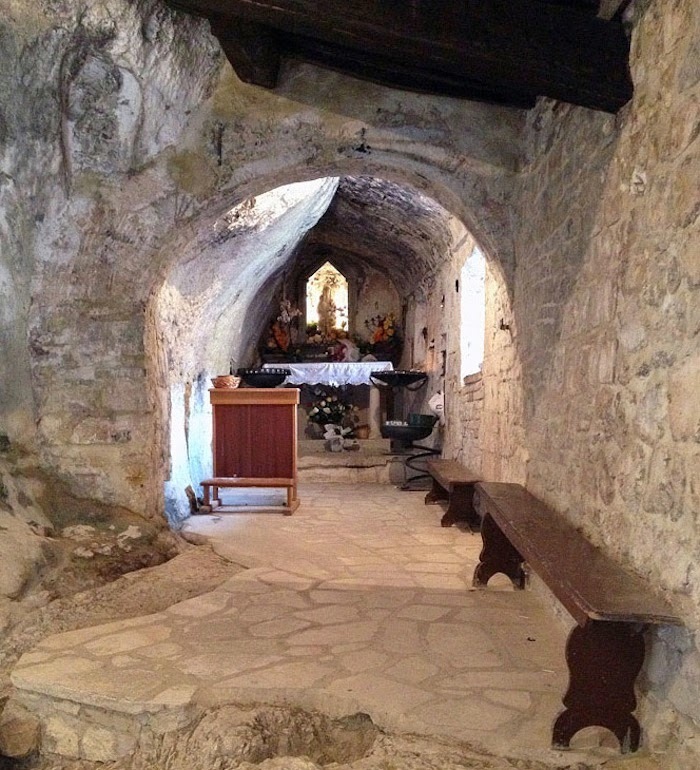 Found at the end of a steep uphill path from the road to Genga, the nearest town in the Marche region, locals likely took refuge here from invading Hungarian tribes during the 10th century. 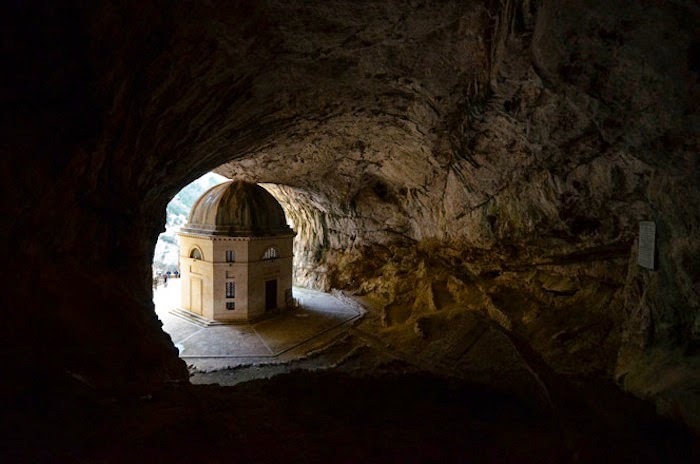 The church itself was commissioned in 1828 by pope Leone XII, and once housed a statue of the Madonna and Child made by the famous Italian sculptor, Antonio Canova, but was later relocated to the Museum of Sacred Art in Genga. 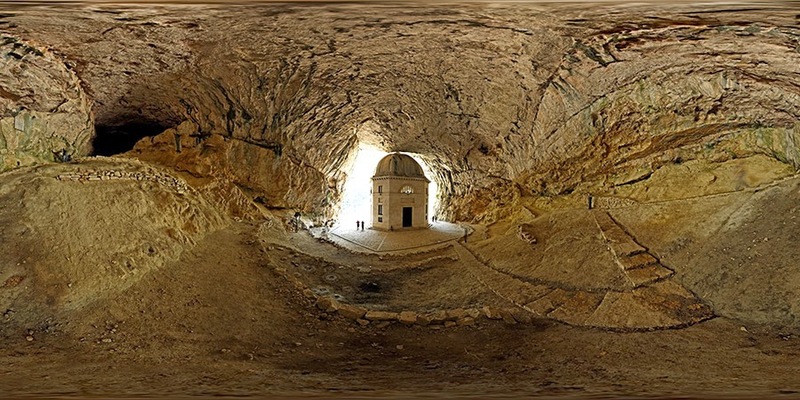 During the construction of the temple in the 19th century, various human remains of prehistoric origin were discovered,. 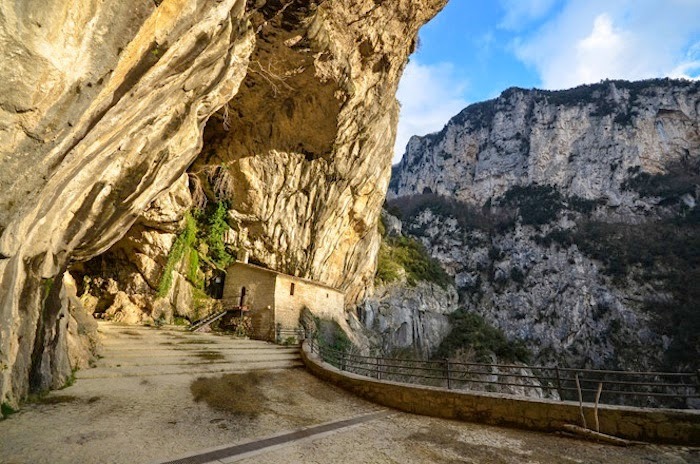 They found the bones of several adults and children, ovens for baking bread, two stores of grains, and some coins from the Bronze or Iron Age. 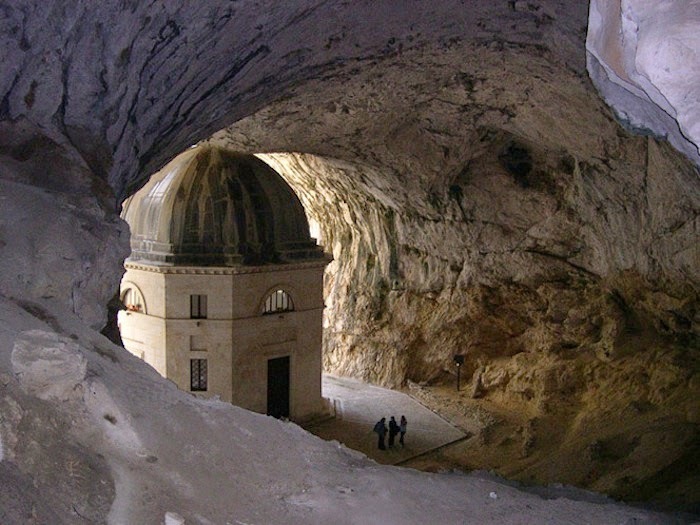 Admittedly a little more rustic than the palatial style of the Tempio del Valadier ↓ with its octagonal form built of redeposited limestone quarried from the very cave it’s hiding in. 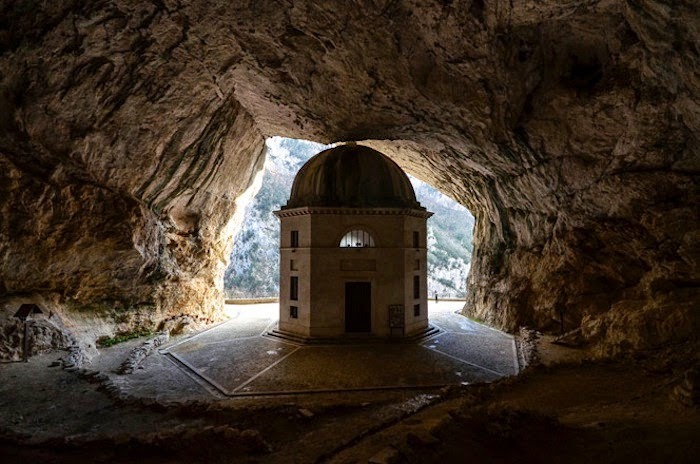 Perfectly sheltered by the cave itself, the chapel probably didn’t need a roof, but they went ahead and crafted one out of lead anyway. 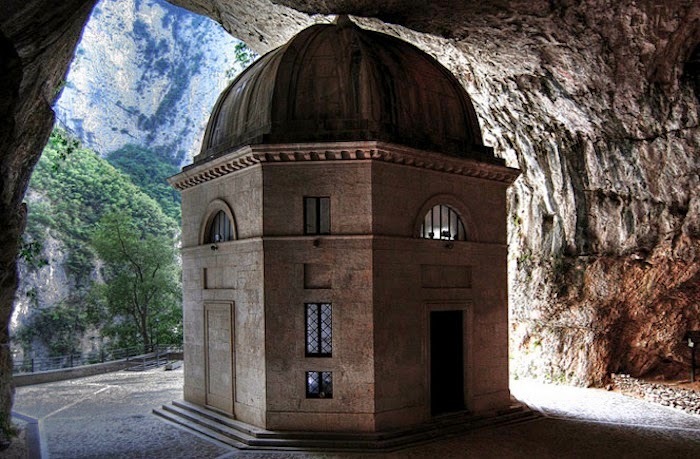 So, if ever you happen to meet a fugitive in need of a neoclassical mini cave palace to hide out while they do a bit of spiritual soul searching, you might recommend the Temple Valadier.